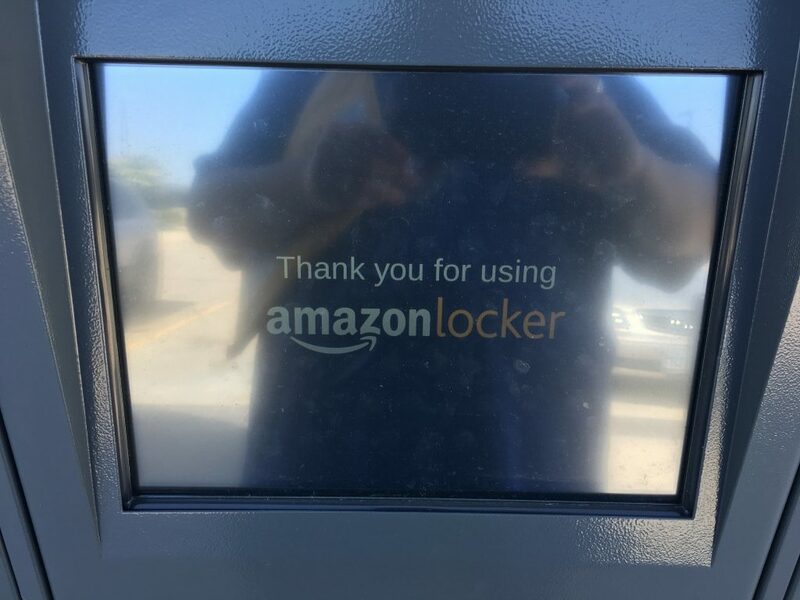 Going into last year, I’ve seen an option on my Amazon checkouts called “Amazon Locker”. I wondered what that was, and did some research. 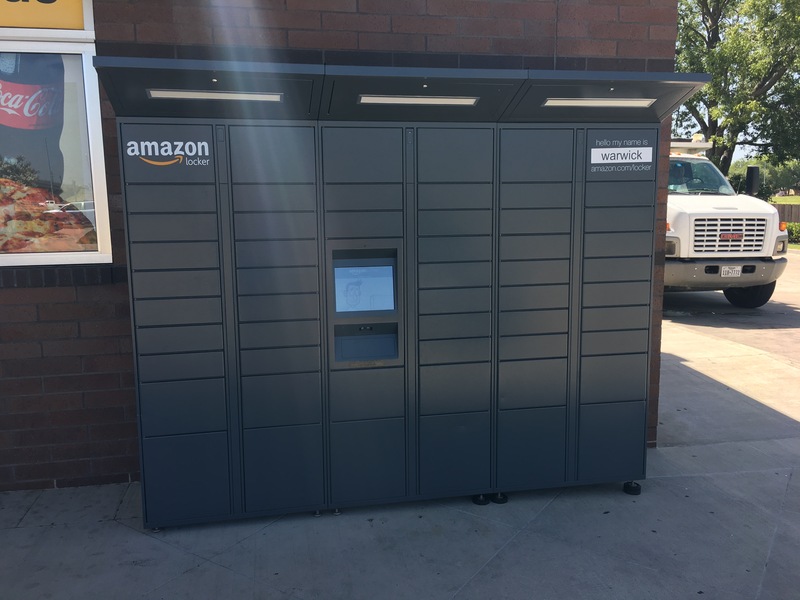 It’s basically a place where you can have your Amazon packages delivered to in place of your home or work, and you can go pick it up when you want. I would imagine for most people there’s little point in using it, as they just have Amazon stuff delivered to their house. Still, if you live in an apartment (or a housing development) that has one of those “cluster mailbox” things, or if you have a theft problem at your place then this would be a useful idea for sure. Yeah, you have to drive to pick it up, but then you have to drive to go get stuff from a USPS PO Box, too. So in that regard, it’s the same. 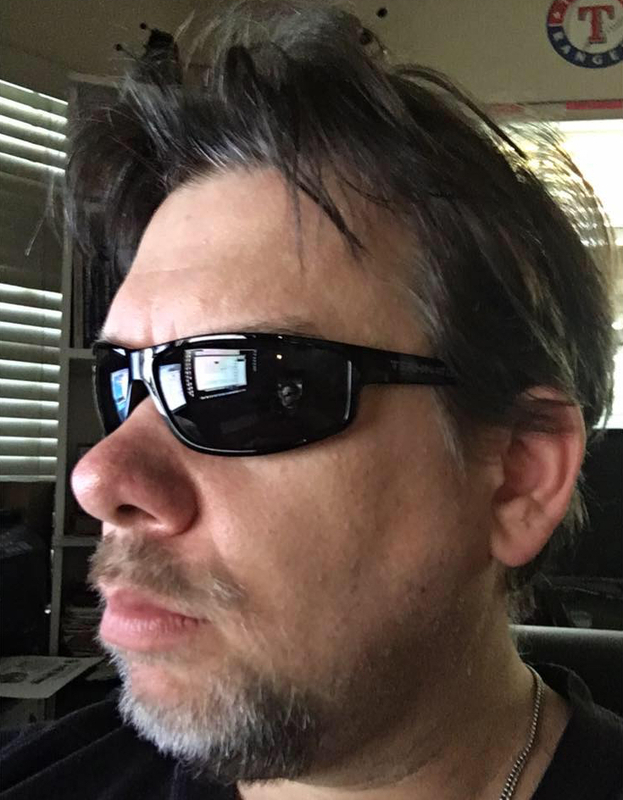 Thing is, there was never a box near me – until something I went to order last week. 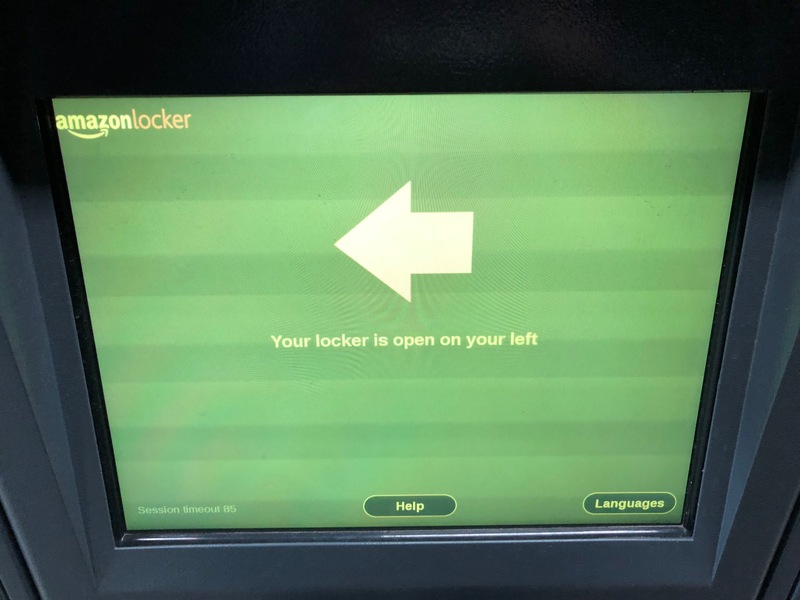 It wasn’t anything important, or anything I needed in a hurry, so I decided to try the Locker location that was near me. According to Google Maps, it’s 5.5 miles from me, which isn’t that far, really. If you look at the picture above, you can see a face there. When you come up to it, you just touch the screen, and it asks you to enter a code or scan a barcode. When you have something at a locker, you get emailed and told this information. This is how you prove you are who you say you are. Again if you look under the picture, you can see an indentation, this is where you can hold the barcode to be scanned. It has a good scanner, as it was able to scan my iPhone screen. Not every barcode reader (I’m looking at you grocery stores) can read barcodes off an iPhone screen. This can. Anyway, after it scans you, it thinks a second, and then an arrow shows up on screen and points to where the open door is with your item. Here’s a picture of the arrow, as well as your locker being open showing where your package is. (Technically the picture of the arrow was taken on a different visit than the other photos, hence the “left arrow” not syncing up with the open door pic). You then take your package out, and it waits for you to close the door. I don’t know what happens if you never close the door, as I actually followed the instruction. The screen with the arrow says “Session Timeout 85” in the picture above, which implies that if you do nothing in that timeframe it will close the door. Whether it assumes you took your package or not I can’t tell. Once you take your package out you close the door, and basically you’re done. The screen does say thank you after that. You do get a followup email saying thanks for picking up your package and asking for feedback, too. Overall, it’s a nice easy way of getting your stuff, should you need this kind of pickup facility. As I said earlier, I have no need of it personally, as I don’t have a theft problem at my house. But I could easily see myself using it if I did. I do hope enough people use it that it doesn’t go away. One thing I saw on the notification email is that you have only four days to pick it up. I was notified that my package was available on August 1st. I was told I had until August 4th to pick it up, otherwise, “If you’re unable to pick up the package by this date, it will be returned for a full refund.”. So you can’t use it to store things for like a month before picking up. One other thing to factor into this. The one I shipped to is outside. In Texas. In the Summer. In a BLACK METAL device. You will need to keep that in mind depending on what you’re shipping there. You wouldn’t want to ship say candy or candles there. They’ll be melted when you open the door. One really NICE thing though is that you can put returns here. That I will probably use more than I would use to pick up stuff. Depends on the carrier, of course, but I can definitely see myself using this for returns. 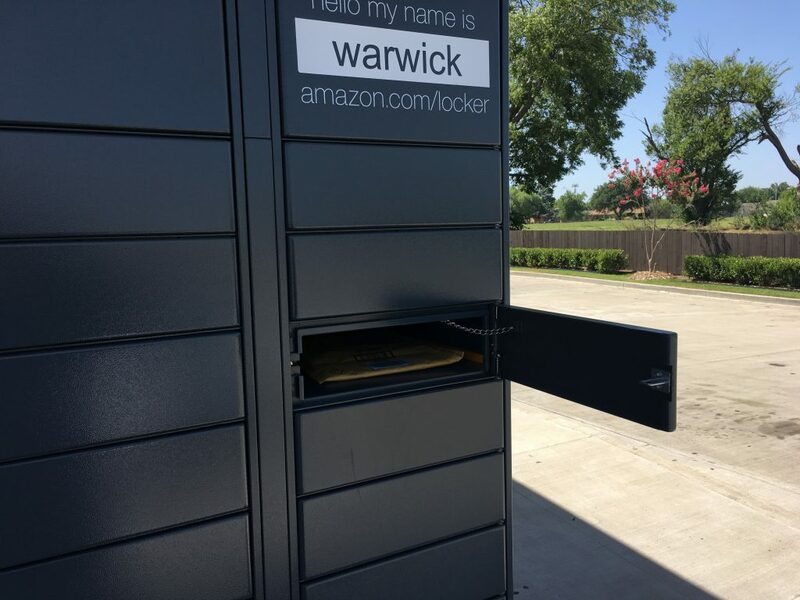 You can get more information at Amazon’s Locker page at http://www.amazon.com/locker – Their page doesn’t list Dallas (this one is technically in Mesquite) as a city, but there’s definitely several in Big D, so you might want to give their system a check, see if you have one. 1.do you know something about how deliveries put your stuff into the place? 2.After entering your order,they will send you a code or a barcode.is that right? 3.what display shows you before and after you touch the screen? 4.when you input the code,after that, will door open automatically? 1) I don’t understand that. “Do I know something”? pardon? What specifically are you getting at? 2) You get a code via email and in your account status to use to pickup. I’m pretty sure I mentioned that in my article. I can’t recall right now if the code is instant, or if it happens after the package has been dropped off there. 3) The displays are simple – just things asking you to put in your code. If you look at my first picture you can see part of one of them, then it’s just a simple “enter code”. Afterwards depends on what you do – whether you close the door or whatnot. 4) Assuming you put the code in correctly, yes. Thak you very much for this! It is 15th April 2018 that I am writing this message to you as I am about to use the Amazon Locker service in London UK in 3-4 days. Your post was fatastic — I now know exactly what I have to do — and you’ve solved the mystery of the name: I actually thought I would have to speak to someoe named XXXXX in my area and that individual would then hand me my package LOL! Thank goodness Amazon has made it far simpler than that! Anyway, I just wanted to say a big thank you for the tutorial. You’re welcome. I’m still curious to see how they assign the names like that, but yeah, it appears to be just a code for that locker in the form of a “name”. Probably to make it more personable than “Locker 84334”. I just used an amazon locker to return a product and it’s “name” was nerissa. Weird! !